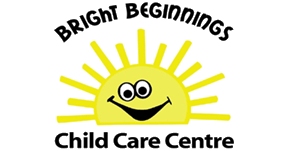 Information Bright Beginnings Child Care Centre is a non-profit, full day, early education program for young children ages 18 months to 10 years. We offer a theme based, interactive and creative program to support the development of the early years and to enhance the learning and welfare of young children. Our centre supports families within the Cumberland County area, allowing parents to attend training institutions; extend their education; and to seek employment within the work force, thus raising the level of economy for our county. Our child care centre is fully inclusive and supports diversity. We provide extra services for children who have been diagnosed with special needs. The Centre itself is staffed by an Executive Director and the required number of staff needed to meet the operational needs of the Centre. Licensing requires that the Executive Director and staff have completed training in a recognized Early Childhood Education Program or its equivalency. Staff are required to maintain a current First Aid and CPR certificate. All staff are required to have a Criminal Record Check and Child Abuse Registry.